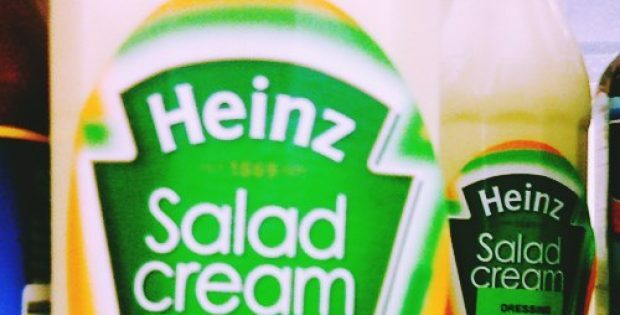 The American food processing giant Heinz has reportedly announced that it has decided against renaming its popular condiment Salad Cream after receiving a huge backlash from the customers. As per trusted sources, the product was to be named as Sandwich Cream as part of a rebranding strategy, as Heinz believed the product didn’t fairly represent how most people used it. Heinz recently released a video which depicts its chiefs admitting it was a wrong decision to consider rebranding the product. Jenny Lettuce, Heinz’s existing head of feedback, is seen apologizing for the mistake in the video. While Heinz was contemplating its decision to rename the condiment it admitted that only 14 percent of its customers use the sauce to dress a salad as majority of them use it on sandwiches as an alternative to mayonnaise. As per a news report published by The Telegraph, the company carried out a survey in which around 87 percent of consumers rejected other potential names and demanded the product to remain as Salad Cream. According to sources familiar with the development, parent group Kraft Heinz said it had teamed up with brand design specialist Jones Knowles Ritchie to restructure the popular condiment which was launched in 1914. The company stated that the name no longer fairly represented the product’s usage, therefore it considered changing the name to Sandwich Cream to appeal to younger consumers. Reportedly, the UK sales of the brand plunged 5.4 percent to £28.8 million last year.